On a rainy Memorial Day Monday my friend Rich Srsich and I decided to drive up into the hills of the Upper Hudson Valley Wine Trail. I have tasted many of the wines of the region but I had not visited the various wineries personally. It was a good opportunity to see some of this burgeoning trail for myself. Our first stop was Victory View Vineyard. It is owned by Gerry and Mary Barnhart. 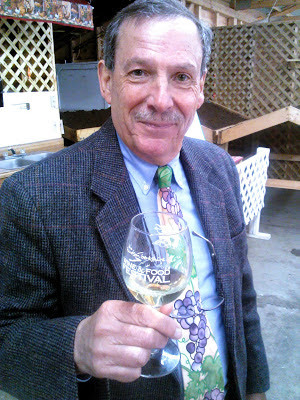 Gerry has an exceptional reputation for making some of the best wines in the region. I am a HUGE fan of his! And this visit proved once again why that is so. Gerry grows only hybrids. And most of them are of the Elmer Swenson/Minnesota cold climate varieties. And he is among a handful of those producers whose wines belong in almost any conversation. Victory View Vineyard produces excellent quality fine wines. Everything Gerry produces is an estate wine. They produce only estate wines. Gerry wass doing a tasting when we entered, so Rich and I just joinedin - happily I might add! First bottle was Victory View Vineyard Charlotte La Crescent 2014. This had lovely tropical notes, and hovered somewhere between a Gewurztraminer and a Riesling. It was absolutely lovely classic, zippy, dry white wine!!!! Victory View Vineyard Abigail 2015 was light and pretty. Citrus, peach and melon all come through as promised.More forward fruit than the Charlotte, this light bright acidic white had a touch more acidity and a hint of sweetness. Very, very pretty! Victory View Vineyard Lafayette Marechal Foch 2015 was a big, dark, chewy wine! Dark cherry and stewed strawberry come through with notes of vanilla and toast, and a hint of caramel. Aged for at least six months in new American oak. This was a fantastic wine! Victory View Turning Point Marquette 2014 was a smoke bomb of a wine, with deep, dark fruit such as red cassis and dark stewed red fruits, as well as earth and a softness that is luxurious. This wine too is aged in a new American oak barrel for at least six months. I loved this wine! Victory View Vineyard Independence Marquette Reserve 2014 is aged in newer and older French oak barrels. This is a limited bottling, of their best and oldest Marquette with it's own specific barrel regimen. I loved this wine. It was deep, dark, and rich. There is no question Gerry and Mary offer some of the best Marquette on the east coast, and belong in conversations about not only the better cool climate wines, not better Marquette varietal wines, but very good red wines in general. Victory View Vineyard produces wonderful wines across the board! I loved all three reds in a huge way. None particularly tasted like cold climate wines, but instead ere much more reminiscent of warmer climate wines. Deep red stewed fruits, dry, with a nice balance of acidity and tannin, color and oak. Nice, bold fruit. But nice, dry finished. These were all polished wines, worthy of any wine list. Remarkable! OK, so I met the guys from Hermit Woods at the Eastern Winery expo 2017 in Syracuse, New York. I have come to know them over the last few years, but really gave their wines a real tasting just this last expo. Time for a proper review I thought to myself. Hermit Woods is a medium-sized, impressive winery in New Hampshire. According to their website: "Old world character meets new world fruit—each of our award-winning and handcrafted wines is made from a unique combination of locally sourced fruit, honey, and flowers, in some cases wild-foraged. Our process is devotedly hands-on from vine to bottle, using old world techniques with the highest level of care and integrity. The result is wine with rich, complex flavors. All of our wines are vegan (with the exception of honey wines), gluten-free, raw, and mostly organic to Best Management Practices...."
Hermit Woods Winery have a solid reputation that has resulted in their becoming one of northern New England’s most sought-after artisan brands. And that's why these guy are so interesting. Number 1, you see them everywhere. They hit every bar, restaurant and party. These guys love to laugh, eat, and drink and have fun. But the more impressive thing to me was that in every interesting exchange during the past EWE 2017, one of these guys was always involved. And when they spoke, a lot of people listened. The winery folk in the northeast have serious respect for what these guys do. That's impressive. The name Hermit in the Woods is named for Joseph Plummer, the far-famed hermit of Meredith Woods, who was born in Londonderry Oct. 28, 1774. According to the website: "His parents, Jesse and Sally Plummer, soon after his birth came to Sanbornton and settled with six children. Subsequently they moved into Meredith, but returned after some years and both died in Sanbornton in 1824, the Father being 82 and the Mother 85 years of age at death. They were always very poor but respectable people, and reared a family of ten children, Moses, Nathaniel, Jesse, Amos, Nathan, Joseph, Stephen, Parker, Sally and Polly, all deceased. They were all, with the exception of the Hermit, persons of good standing and good property." Why a snail on the label? 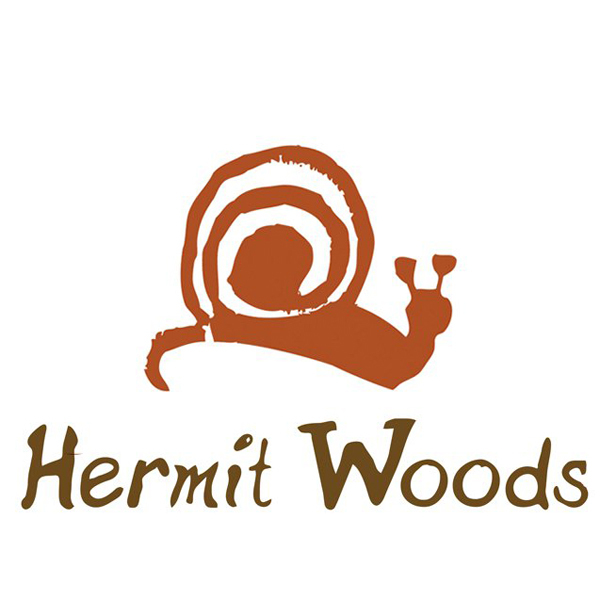 "When we decided to call ourselves Hermit Woods Winery, the first thing we told our designer was “No hermits on the Label!” So Don, our designer began identifying graphics that represented the other creatures you might find in the woods. This was when he came upon Susan Riecken’s snail. We all instantly fell in love with it, not only was it graphically interesting, we all felt the snail was the perfect representation of the slow process that making wine is." Cool. There are three partners at Hermit Woods Winery. Bob Manley, Chuck Lawrence, and Ken Hardcastle. These are three accomplished and interesting guys. Ken Hardcastle loves to ferment. He's a professional geologist who was born in Stoneham Mass, but grew up in So. California. He attended Occidental College, went to NYC for his Masters, and then to western Mass (UMass Amherst) for his PhD in structural geology. He started off making beer in the 1990s, then mead, then wine. Bob Manley grew up in Rhode Island. Shortly after high school, he moved to California where he graduated from California Institute of the Arts and married his wife Jerilyn. Bob and Jerilyn visited hundreds of wineries from San Diego to Northern California and even a few in Oregon and Washington. It went from a hobby to a passion. Then they moved to New Hampshire. He is a architectural and commercial photographer and runs a small boutique graphic design firm, bobdonpaul.com. In 1997, Bob met Ken Hardcastle and Chuck Lawrence. According to Bob, "We have spent many hours getting to know one another and pursuing our passions, one of which was wine; drinking, learning about, and the making of. Before long, the three of us were making wine from grapes, other wonderful fruits and honey, and planting a vineyard." Chuck Lawrence was born in Exeter, NH and raised in Newfields and Tilton, NH. He attended local New Hampshire schools, including University of NH in Durham, majoring in Forest Management. Chuck's ancestors were among the early settlers of New England arriving as early as 1630 in Portsmouth, Newburyport, and Boston. Chuck biked through France, Switzerland, and Germany at age 14, and again after college he toured Europe again. He became passionate about road bicycle racing, and joined the cycling teams at Cardigan Mountain, Tilton, and the University of NH. He was the first US National Collegiate Road Cycling Championship in State College PA in 1985 for the University of NH. He also trained at the Olympic Training Center in Colorado Springs as a member of the US National Cycling team. A professional aviation pilot, he was a bush pilot, and in 2000 he was hired by United Airlines to be a Boeing 737 pilot. These guys are incredibly cool and accomplished. 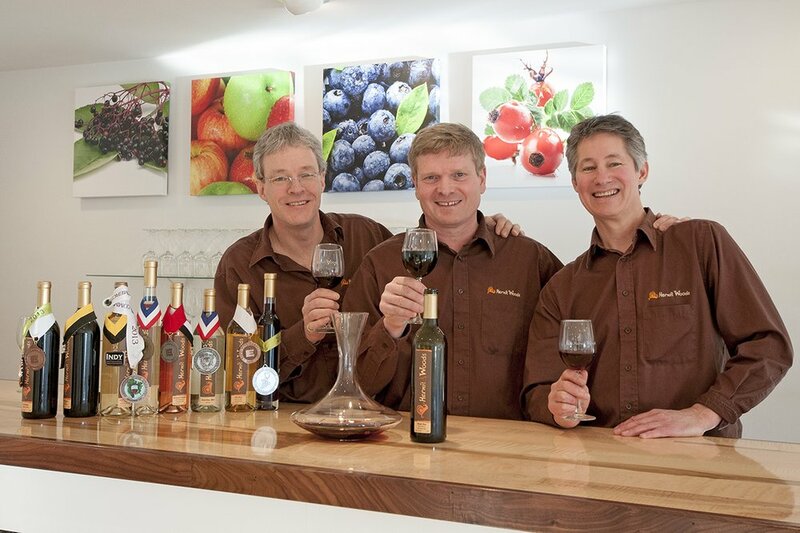 And while they love to have fun and live life, they are incredibly passionate about their winemaking. The first wine I was truly attracted to was the Hermit Woods Petitie Blue 2015. This was a blueberry wine, and at first I was reluctant. I was trying red wines, and I didn't want to taste a fruity dessert wine. My fears we immediately dismissed! The wine is made with small, whole, wild, lowbush blueberries from Merrill’s Wild Blueberry Farm in Ellsworth Maine. Yes, blueberry is the overwhelming essence that bursts out of the glass. They use a cold soak process, partial carbonic fermentation, whole berry approach, low fermentation temperature, and reductive process to make a quality dry red wine. The wine is Rhone-ish in style. It's a medium-bodied wine with blueberry, plum, and cherry with nice notes of vanilla and spice. In July, 2014, Ray Isle, the Editor of Food and Wine Magazine, shared Petite Blue Reserve with Kathie Lee and Hoda on the Today show. Why? Because it's one of the nicest red wines in the north east you're going to try! Hermit Woods immediately joins the ranks of one of th best fruit wineries on the east coast! I tried a number of their wines, but I didn't take enough pictures or notes! But another stand out, at the other end of the spectrum was the Hermit Woods Deep Blue 2015 is a un-filtered dessert blueberry wine. It's a big, intense blueberry wine, like a liquid blueberry pie. Incredibly well balanced, evening off an intense sweetness with a nice counter of acidity. The guys calculate that there's nearly a pound of wild, low bush blueberries in each 375ml bottle. Tasting these wines, immediately impressed me. And for as much as these guys were always having a ball at the convention, they were always in the center of the conversation. And tasting their wines, I now know why! Hermit Woods is one of the best fruit winemakers on the eastcoast! Mark and Lauren Hernandez and Brendan Boyle are co-owners of Autumn Lake Winery and established the vineyards in 2012. The goal was a "singular ambition of creating wines of superior quality from grapes grown on our own cultivation. Our clay and gravel laced soils provide the ultimate conditions for wine grapes." Autumn Lake Winery on West Malaga Road was approved for a 5,000-square-foot tasting room and had produced more than 1,000 bottles in July of 2016, Brendan Boyle told the Philadephia Inquirer last year. The winery produces the following wines: Pinot Gris, Sauvignon Blanc, Albarino, Viognier, Blaufrankisch, and Chambourcin. 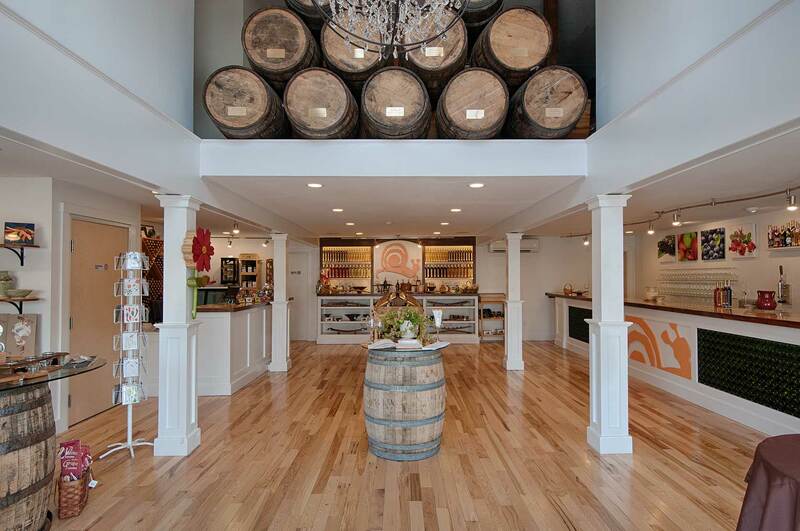 It's a small and new winery in New Jersey. I met them at the Eastern Winery Exposition 2017 in Syracuse. I tasted two of their wines both of which were very good! Autumn Lake Albarino Outer Coastal Plain 2015 was a lovely white wine, with a huge tropical fruit and floral notes. A big, big nose, with big tropical fruit up front but the wine finishes dry and brilliantly. A lovely Albarino. Autumn Lake Chambourcin Outer Coastal Plain 2015 was another lovely surprise. A big, dark red wine, with notes of dark cherry, stewed dark berries, cassis, dark cocoa, plum, and spice. This is a big deep dry red win, with a big dose of oak. Lots of complexity. A very, very good Chambourcin. Goes right to the leading pack of Chambourcins on the east coast! Fantastic! So far, tiny Autumn Lake impresses! So, I was at the Grad Tasting that precedes the opening of Eastern Winery Expo in Syracuse in 2017, when I spied some labels on the Vermont table that bespoke a very serious effort to make wine. When I picked the bottle up, I was filled with trepidation. They were fruit wines. Now, like mot folks, there's a certain stigma with fruit wines. They are usually cloying and sweet and made for a more popular palate. On the other hand, every once in a while you get a lovely surprise. This was one of those lovely surprises. Maquam Winery is a high-quality berry wine crafted in Vermont, on the shores of Lake Champlain. It's a small, family owned business. The driving force behind the wines is the secret to their success. Dominic Rivard is an award winning commercial winemaker, wine distributor/exporter, author and passionate about wines, ciders and wine industry innovations. He's been making wine for more than 20 years. He's been interested in wine since he was 17. 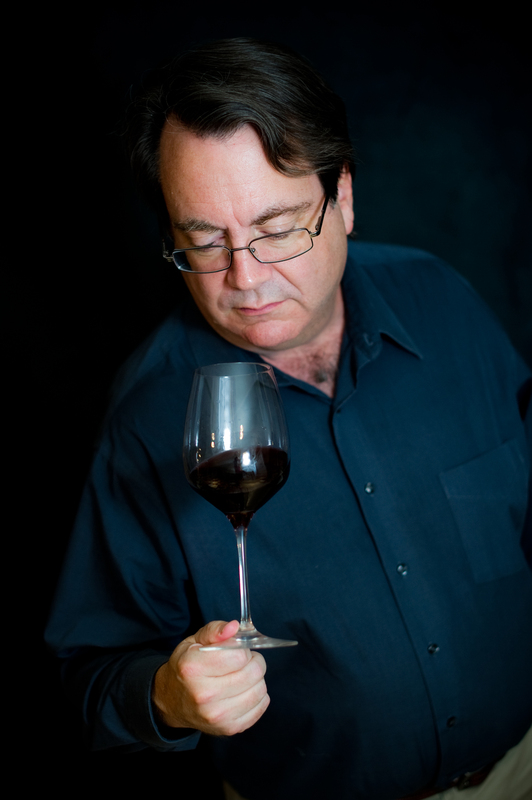 He is a qualified sommelier, has as WSET certification, and is studying for his Master of Wine accreditation. He is also a founding director of the Fruit Wines of Canada Association. Dominic has been involved with producing and distributing wines from Canada, USA, Italy, Spain, UK, Tanzania, Chile, Taiwan, India, Hong Kong, Korea, Japan as well as China. He has been a speaker on the subject of winemaking and wine marketing at various symposiums throughout the world and teaches cidermaking. OK, so, to the wine.The first was the Maquam Pear Wine. The first nosing of the glass instantly told me I was in for something special. Big notes of pair and tropical fruits, somewhere along the ine of a fine chardonnay or sauvignon blanc. I was instantly impressed. The pear comes through across the palate as promised, but as in a fine chardonnay. There are other flavors of lychee and some green apple, with nice notes of vanilla, toast, and spice. An exceptional wine!!!!! Beautifully balanced and complex! Forget what fruit this was made from - this is flat out terrific wine! This is the kind of wine I could pass off to my most discerning wine friends as a fine chardonnay and none of the them would say anything other than....wow! Truly impressive! The Maquam Blackcurrant Wine was made with 86% estate grown fruit in the Green Mountains of Vermont and 14% locally sourced Vermont Grade A maple syrup. To be sure, an odd blend, even to me! Then it was aged in French oak for ten months! And yet, here it was, a dry dark, garnet colored wine, with all the big fruit you would expect up front, black and red cassis come through as promised, but the tartness isn't that of cassis, but more rounded, more subtle, with impressive layers of dark cocoa and vanilla, and caramel and spice. Dry, with nice tannins and good acidity, it was kind of like one of those great big baco noirs. Lovely layers of sour cherry slide in, Tremendous structure. A lovely wine! Would love to see what Dominic could do with Blueberry. I imagine hhe might approach his final destination even further. Regardless, Maquam Winery is instantly one of the better fruit wine makers, right up there approaching hallowed ground. Fantastic! Impressive! Heard turning! This is not the first time I have tried Coastal Vineyards. But this bottle in particular was found at the Eastern Wineries Expo in Syracuse in 2017. I'd had some of their wine before, they are a solid, quality focused producer, and so I was eager to try it! In 2004, Dave and Linda Neilson found a 14-acre former cornfield in southeastern Massachusetts. The South Dartmouth land was the perfect location to create Coastal Vineyards. They prepared the soil diligently and spent the next two years planting 4,200 and 4,800 grapevines. They grow such varietals as Chardonnay,Riesling,Chambourcin,Cabernet Franc,Pinot Gris,Pinot Noir,Merlot,Cayuga,Sauvignon Blanc,Traminette,Pinot Blanc,Muscat,Vidal Blanc,Seyval Blanc,Gewürztraminer,Marquette,Aromella. In 2007, Dave began constructing the winery and harvested his first small crop of grapes. They yielded a crop of seven tons of grapes in the autumn of 2008 for their first official commercial harvest. By the summer of 2009, Coastal Vineyards introduced its wine to the public and opened its outdoor tasting room with their scenic views of their vineyards and the sea. Coastal Vineyards is a picturesque ten acre vineyard nestled in a rural area that is within a sea breeze of the ocean. The winery & tasting room overlooks a sprawling lawn that leads to the vineyard, where visitors can sit in Adirondack chairs sipping wine or snacking. The Coastal Vineyards Marquette Estate 2014 is a big red win with a nose of blueberries and cocoa and red cassis and spice. The fruit comes across beautifully on this wine, with cherry and other stewed ripe red fruits, a hint of dark cocoa, vanilla and spice, with a nice balance of acidity and tannins. A lovely, complex wine, I kept reconsidering (in a good way) with every subsequent sip. A lovely, well put together wine. Polished and extremely well done! A very, very impressive Marquette worth of real consideration in New England. So I was rummaging around the basement for a white wine to have with a block of Old Chatham Sheepherding Company Camembert-styled cheese when I came across this bottle of Chamard Chardonnay Estate Reserve 2007. I would like to tell you I had been holding onto it for a reason, but it seemed instead to have stayed hidden. I didn't even know I had it. A sign, yes, that I have too much wine! Chamard is one of the older wineries in Connecticut. I've been going there since I graduated from college (just after the Civil War). Chamard was founded in 1983, but the main building wasn't finished until 1988, Chamard Vineyards is among the prettiest of New England's wineries.Located in Clinton, Connecticut, like the North Fork, they are only influenced by the moderating temperatures of Long Island Sound. According to the website, "The first vines were planted in the spring of 1984, a five acre vineyard consisting primarily of Chardonnay with a small quantity of Cabernet Sauvignon and Pinot Noir. From 1986 through 1992 the remaining acreage was prepared and planted, for a combined total of 20 acres. The winery was completed the summer of 1988 when Chamard became a licensed farm winery. The first wine, a 1988 Chardonnay was released for sale in November of 1989." I bought a bottle of that chardonnay, and I have been buying their wine ever since. The farm is 40-acres, with 20 acres under vine. They grow Cabernet Franc, Cabernet Sauvignon, Chardonnay, Merlot and Pinot Noir fruit. Current production is 10,000 cases annually. Chamardhas been a quality focused producer from the start, and has been among the class not only of Connecticut producers, but of New England's as well. So, anyway, I brought the bottle upstairs and dusted it off. We opened it with some trepidation, never really sure if any chardonnay (from any region) will stand up to 10 years worth of cellaring (especially in my clumsy hands). The wine was exquisite! Beautiful tropical fruit notes supported an overwhelming aroma of honey and apricot. There was some oxidation but only a trifle, which added complexity. The wine was nowhere near being past it's prime, and had wonderful flavor and acidity. It was both complex and beautifully balanced. Quite amazing!!!! We also nosed our glasses, and we all smiled. The wine was wonderful, and it was beautiful with sliced apple and Camembert! A tremendous job!!!!! Need to buy a few more bottles!!!! And so do you! She is a Certified Sommelier with the Court of Master Sommeliers and holds an Advanced Certificate in Wines and Spirits with the WSET. Originally from Aspen, Colorado, Hillary's passion for wine has lead her all over the world. She has taught over 300 classes, and she continues to be fascinated by the never-ending world of wine. And she is the author of the recently published "The Unfiltered Guide to Working in Wine". Recently she's become interested in New York wine! "As a Hudson newbie, I've been quite curious about the wines produced between Long Island and the Finger Lakes.. Over the past year, I've tasted through about 20 different producers' wines, which was actually more than I assumed were even here....I have come across a few little gems. 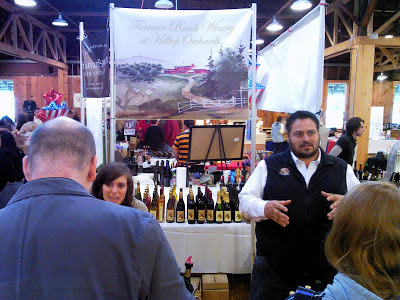 Two producers (both of whom I've visited) made an appearance at the Rip Van Winkle Wine, Brew and Beverage Festival last weekend and clearly stood out among the others." Hillary loved Hudson-Chatham Winery, writing, "Check out their Seyval Blanc... as well as their Baco Noir, which tastes something like a blend of Gamay and Grenache....The winemaker is extremely experimental, playing with blends and planting new varietals regularly. They even have an Orange Wine, called "Heirloom White" which is a lightly skin-contacted blend of their heirloom grapes." She also raved about Tousey Winery, writing "This winery is focusing on Frenchies like Riesling, Chardonnay, Pinot Noir and Cabernet Franc. The acidity on the whites is in line with an Alsacian Riesling or Burgundian Chardonnay, and the "Rebellion Rosé" has Provence written all over it.... I'm very excited to see where this winery goes." Great reviews!!!!!! Read Hillary's articles and her new book! 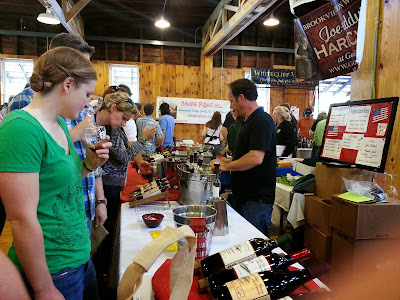 The Hudson Berkshire Wine & Food Festival is celebrating 5 years! There's more wine, beers, cider, and spirits vendors! More food vendors! More craft vendors! At the Chatham Fairgrounds! Three buildings worth of fun! The Hudson-Berkshire Beverage Trail is the premiere beverage trail in New York State's Hudson Valley and the Berkshires of Massachusetts. The trail extends from south of Albany, through the Berkshires, and down to Clermont, NY. 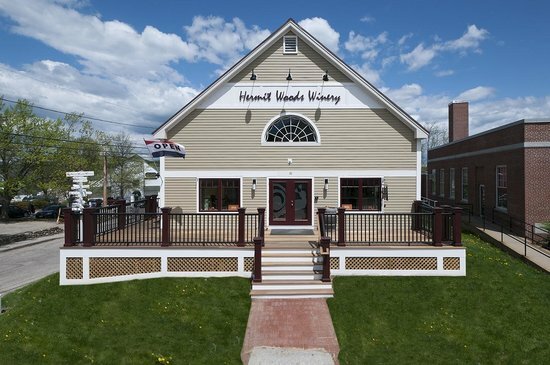 ​On the Hudson Berkshire Beverage Trail, you can visit wineries and distilleries all within 50 miles of each other. Experience hand-crafted wine, ciders and spirits, along with lots of local fresh produce and other gourmet items from this unique region. There's things for the whole family to do! Rain or shine. it's indoors! Speakers -Wine expert Fred LeBrun will be there!!! !